A couple of years ago Tony Hender of Arun Stamps was asked to supply 5,000 used Red Machin stamps, which he was able to do. This request has led to the discovery of a story that is about to have a wonderful ending. noticed that the image was made up of lots of small dots. As he was also interested in computers he likened these ‘dots’ to pixels in a computer image. This sparked his curiosity even further so he scanned this 6½p Machin to the highest magnification possible at the time and he then noticed something that was to take him on a ten year journey that has finally reached it’s destination. 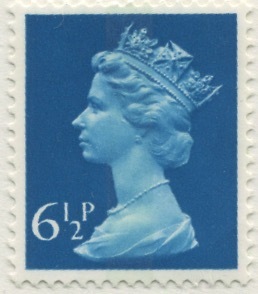 He realised that a giant image of this stamp could actually be made, utilising used Machin stamps themselves. Using a combination of mathematics, rulers and patience he made a mosaic template for a 6½p Machin magnified 300 times and duly started to fill in the spaces - all 110,000 of them! During the completing of this task he found out that the record for a mosaic of this type in the Guinness World Records stood at 220.28 square metres and is currently held by a gentleman in Spain. This offered Peter a challenge he could not resist - after all he was already half way there - so he started adding to his existing project. The Machin Collectors Club March 2016 Newsletter reported a sale of 186,000 used Machins that was made at Spring Stampex by Tony. Well, now you know where they went! We can now tell you that Peter has now finished his project after these ten years. 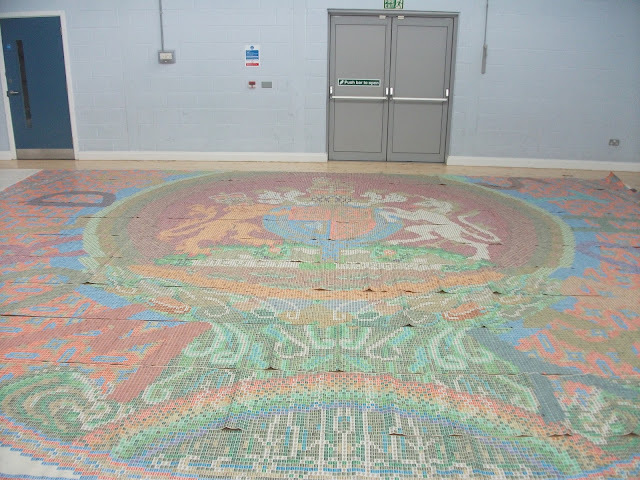 His completed mosaic measures a massive 27 metres (88½ feet) x 9 metres (29½ feet) and comprises over half a million used Machins - in fact there are 528,220! To go for the Guinness World Record Peter obviously needed a hall large enough to accommodate the mosaic. As there was nothing near where he lived, he asked Tony if he had any ideas. As one of the show organisers, Tony discussed the story with the others wondered whether we could incorporate this into the next Southern England Stamp Show. Bearing in mind the hall is 35 metres square it would be ideal. More importantly from the club’s point of view, 2017 sees the 50th Anniversary of the issue of the Machin. We thought this would be good for Peter, good for Machin collectors, good for the show, and perhaps we could also do something for charity at the same time? So, here in summary, is what is planned so far - there are more details to work on but the Guinness World Record attempt will be made at the Southern England Stamp Show at Farnborough on Thursday March 9th 2017 - the day before the show opens. The hire of the venue has been extended to four days from Wednesday 8th to Saturday 11th March. 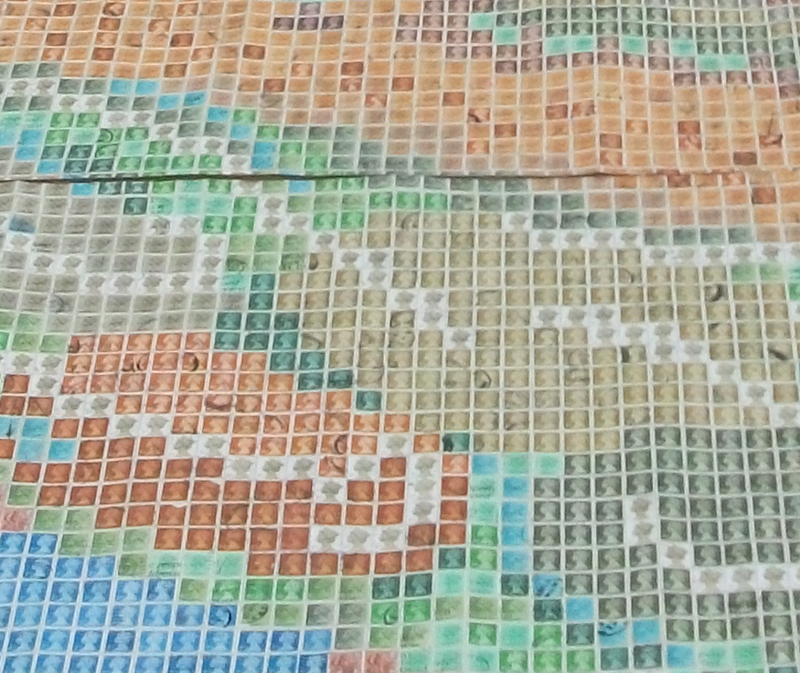 The mosaic will be laid out on the Wednesday (it will take a whole day to do). On Thursday morning the public will be admitted to see the display. Peter’s record attempt will be verified by the rules imposed by Guinness World Records, and hopefully his name will eventually go in the records. We have also invited a celebrity to appear from Children's Charity Childline for this event as well as the media. A photographer has been commissioned to record the mosaic, and the resulting image will be used to prepare a souvenir to be printed by our printer in Norwich, couriered down overnight, to be on sale at the start of the show on Friday and Saturday in aid of Childline. At present this event is being supported by the Machin Collectors Club, Arun Stamps, Stanley Gibbons, Gibbons Stamp Monthly, Stamp Magazine, Stamp and Coin Mart, Richard Bond (Photographer) and Catton Print of Norwich. More details are being worked on but this should be quite an event!